Discover what are the essential features of an ERP System! Find out now how to increase your sales! Find out how to measure and improve the effectiveness of your plants with the OEE method! Delete all non-value added activities that slow down the growth of your business! We help you to respond to an increasingly competitive market, pursuing continuous business process improvement (Kaizen). Please do not hesitate to contact us for information or quotes, we are always at your disposal! Sign up to our newsletter. Stay tuned on our initiatives. 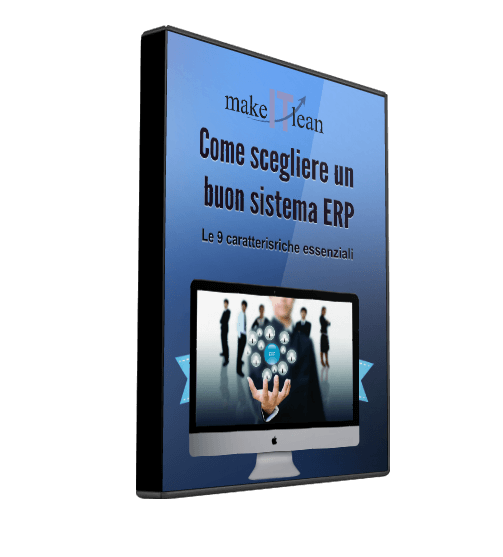 MakeITlean is an Innovative Start Up specialized in PROCESS CONSULTING and has the Lean Thinking as a founding principle. We help companies with concrete and operational solutions to increase competitiveness and corporate profitability through process optimization and business development thanks to Inbound Marketing.